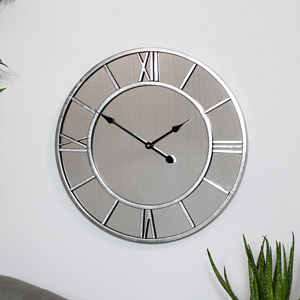 Always keep yourself on time with this striking silver wall clock. Designed to make a statement in a metallic silver finish. Large cut out Roman Numerals and ornate silver hands against a black centra make this clock easy to read and will make a great feature on any wall. 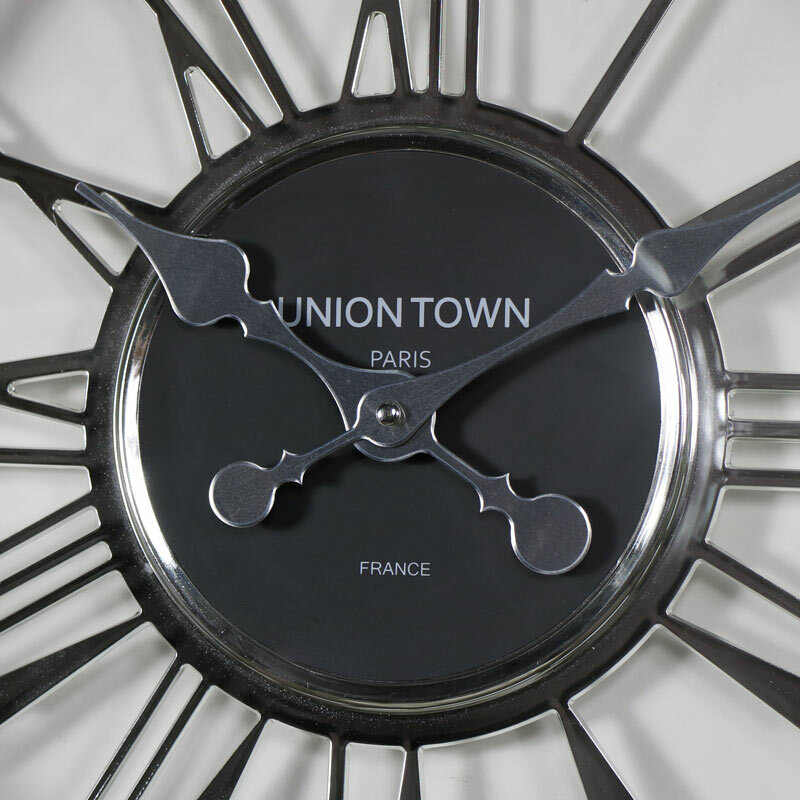 Perfect for hanging in the living room, hallway, kitchen or bedroom, this clock will beautifully complement your home. 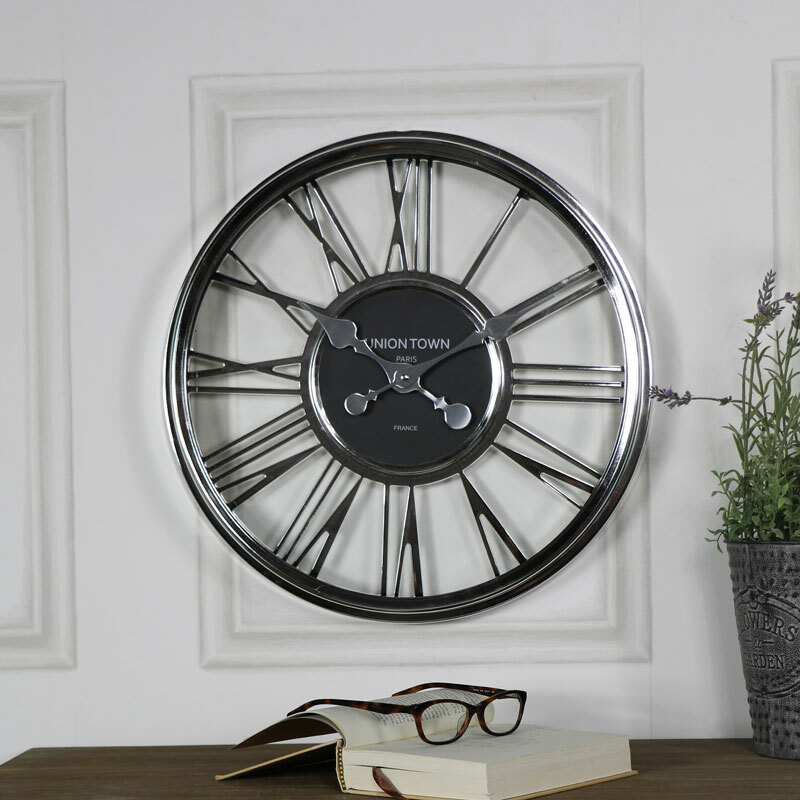 Always keep yourself on time with this striking silver wall clock. Designed to make a statement in a metallic silver finish. Large cut out Roman Numerals and ornate silver hands against a black centra make this clock easy to read and will make a great feature on any wall. 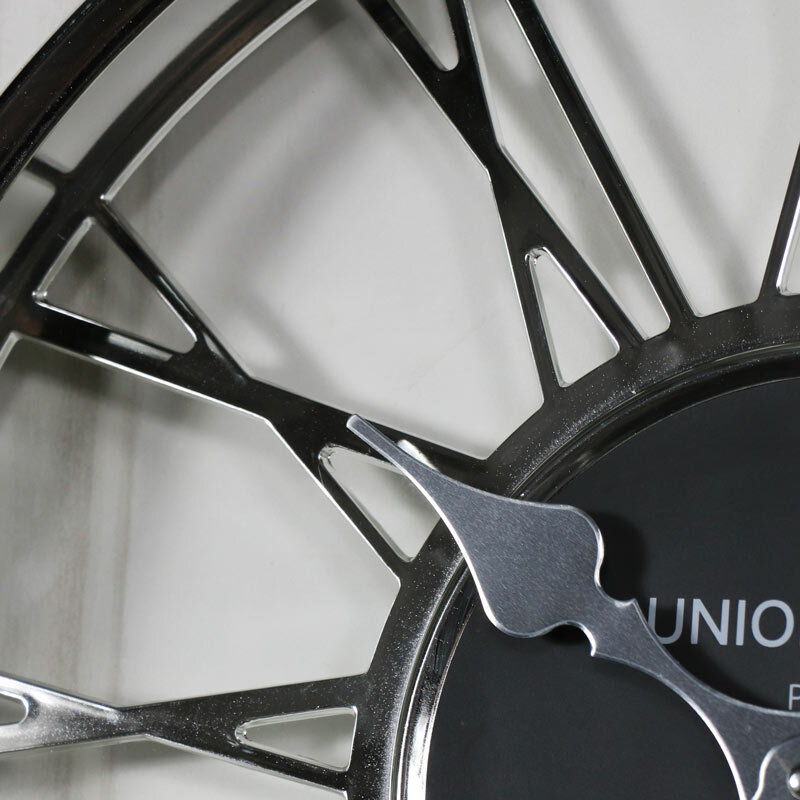 The frame of the clock is made from plastic in a metal silver metallic finish that makes it look like polished metal. Easily wall mounted with a hole on the back for hanging. This clock takes x1 AA battery (not included).